Dripping blood spells out the words Keep Out to your Halloween visitors. Red translucent, gel cling adheres to any smooth surface. Peels off easily. Reusable. Great touch indoors or out. Washable and reusable. 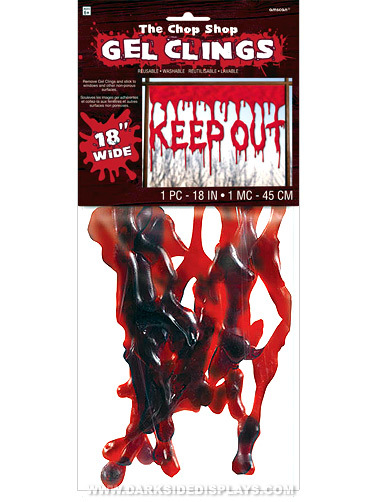 Bloody Keep Out Gel Cling measure 18"W.